I RECOMMEND YOU TO PLAY THIS IN FULL SCREEN BY PRESSING THE BOTTOM RIGHT BUTTON OF THE GAME. ThisIsGrant here, Families are important. But they also break easily. 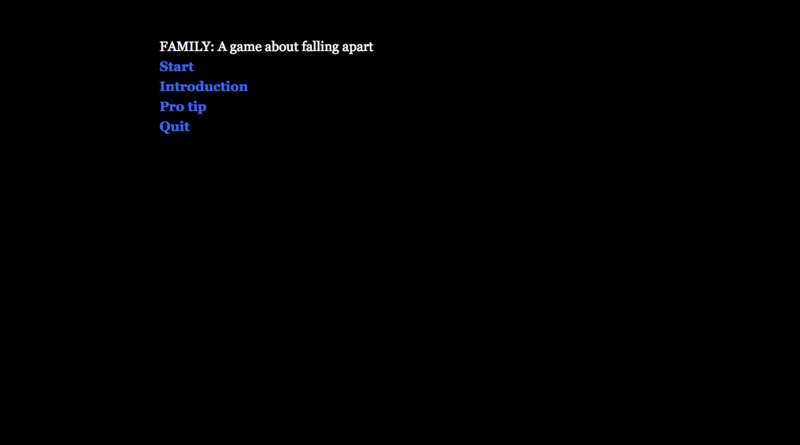 This game discovers the ways families could break apart. This is a text based game. Kind of like a choose your own adventure. But don't worry, I tried to add humour to make it less boring!